The Clarity Collection utilises innovative technology to ensure your tea, coffee and toast taste the way you like it. With easy to use features the Clarity Collection makes light work of a better tasting breakfast and looks good doing it! With premium, sleek glass designs the collection will add a touch of style to any kitchen, while its clear housing also allows you watch the innovative functions at work. 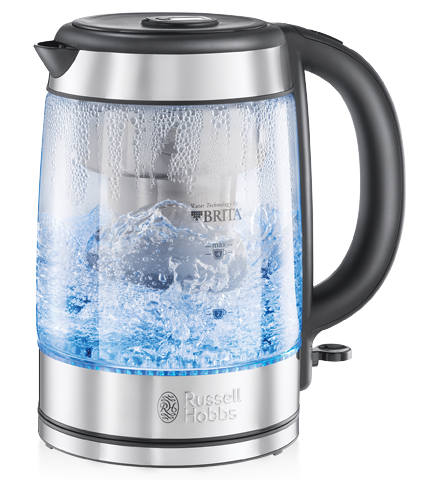 This super stylish Kettle has a built-in Brita water filter system to remove impurities, to reduce limescale and chlorine, and permanently absorb any copper and lead that could occur in tap water. It also has an electronic cartridge replacement reminder so that you'll always know when it's time to change it. 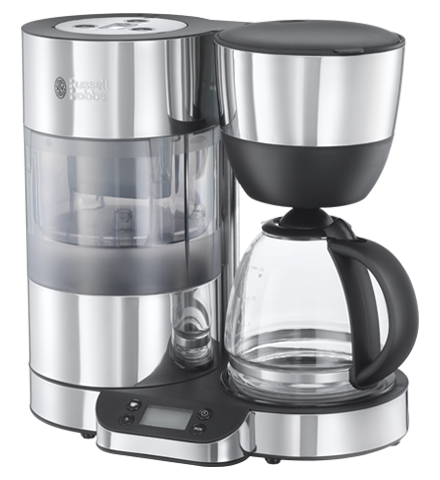 This attractive coffee maker also features a moving water tank that maintains pressure going through the heater to ensure a constant optimum temperature during brewing. Less temperature fluctuation means that the coffee flavour is not compromised and that it reaches optimum brewing temperature 75% faster***.